The Transition to a Solar/Hydrogen Economy Will Trigger an Economic Boom Unseen Since the Marshall Plan. One of the challenges of the new century for the U.S. is to find alternative energy sources. At present, our military spends approximately $1 trillion a year on defense—and part of what we are defending is our oil supply. Furthermore, what we spend on the military does not provide a permanent solution. That sum would be better spent on starting the conversion to the solar-hydrogen economy. I just completed a book on this subject, Post-Oil Energy Technology: After the Age of Fossil Fuels, which will be published in August. It emphasizes process control’s critical role in the coming transition to this solar-based, clean, free and inexhaustible energy supply. The book contains the details of a fully automated and optimized demonstration power plant. To my knowledge, it’s the first one in the world. I hope that this plant will soon be built, and we will obtain hard, factual data to prove that, besides eliminating nuclear proliferation and climate change, this renewable energy technology is also cost-effective (Click here to see Wholesale Electricity Costs table). Once we have this data, the debate on economic feasibility will be over. At that point, I hope we’ll stop using our atmosphere as a garbage dump, and start converting from our present, exhaustible and dangerous fossil-nuclear economy. This transition will trigger an economic boom unseen since the Marshall Plan. The total global electricity demand can be met by the solar energy that can be collected from an area less than 1% of the Sahara. Naturally, solar farms don’t need to be in the Sahara. They can be in the arid southwestern U.S.
A 1,000 MW plant requires about 6 sq. mi. The total electricity demand of the International Space Station is met by a one-acre collector, which receives 1.37 kW/m2 insolation, while peak insolation on a March day in Draggett, Calif., is 1.0 kW/m2. Now, we turn to the process control aspects of my proposed solar-hydrogen demonstration plant. I should start by noting that concentrating thermal solar plants exist already (Click here to see Solar Hydrogen Demostration image), but they have not solved the storage problem. They just provide fossil backup. What is original in my design is that dual non-fossil backup (hot oil and hydrogen) is provided, and the intermittent solar energy is supplemented with continuously available geothermal energy. Basically, the solar-hydrogen economy works by using solar energy as its fuel and generating distilled water as its emission. Figure 1. Thermal concentrators are optimized using two key process control techniques. Figure 1 illustrates the design of one of the thermal concentrators. These collectors are optimized by two key process control techniques. One is the use of valve position controllers (VPC) to balance the distribution of the hot oil among thousands of collectors, and minimize the pumping costs. The other method of optimization applied is to position the collector concentrator to track the sun continuously. Here, the process control system optimizes the collector position around two axes (Click here to see Collector Positioning image). On an individual basis, the collector positioning will be based on my “shadow minimizing” detection system. To optimize the whole solar farm, herding optimization will be applied. This software is named for the Hungarian puli herding dog, because it “goes after” only one collector at a time, but that collector is selected to be the one furthest from the average tracking direction of the “herd” of collectors. Figure 2. Solar energy is converted to electricity using traditional boiler and steam turbine technology. Figure 2 shows the conversion of solar energy into electricity, which is done by traditional boiler and steam turbine technology. If there is a grid in the area, then the excess electricity produced during the peak periods will be sent to the grid, and the same quantity will be repurchased at a much lower rate during the night, when there is no solar energy available. If there is no grid in the area, the solar energy will be stored in large hot oil tanks to supply the plant at night. Figure 3. When there is no grid available, the solar electricity is converted into the chemical energy of hydrogen in large electrolyzers. Figure 3 illustrates the case when there is no grid in the area, and the collected solar energy has to be transported by trucks, trains or barges. In that case, the solar electricity is converted into the chemical energy of hydrogen in large electrolyzers. This technology is well-established because of the vast quantities of hydrogen used in space exploration and in the chemical and other industries. What is unique in this plant are two features: a smaller, lighter and, therefore, less expensive, electrolyzer/fuel cell (EFC), and one that works in both directions. The reduced size and cost are obtained by better process control. The improvement has to do with the need for balancing the oxygen and hydrogen pressures on the two sides of the electrolyzer’s separation diaphragm. Today, the differential pressure between the electrolyte chambers is kept low by throttling the rate of oxygen release, so as to limit the force the separation diaphragm has to withstand. 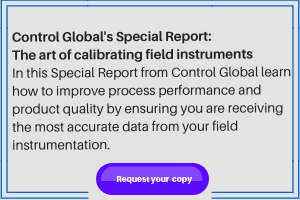 Because the pressure differential is detected and controlled by conventional d/p cells, the measurement can’t be accurate and, therefore, the diaphragm has to be thick and strong. Consequently, today’s electrolyzers (or fuel cells) have to be bulky and heavy. My design uses differential level control (ΔLC-1) that can control minute differentials. The other major step using process control and optimization is to make the EFC combination automatically reversible. This way, when there is an excess of solar energy, the EFC generates hydrogen, and during the night when solar energy is not available, the energy flow across the EFC is reversed, and it generates electricity from hydrogen. To fully convert to a renewable and clean energy economy during the next 25 to 50 years will take vision and commitment, but so did the landing on the moon. The building of the first solar-hydrogen demonstration plant in the world is just the first small step on a long road. The task of converting millions of homes to “energy free” technology, converting our transportation system into a carbon-free one and meeting all our energy needs by solar-hydrogen power will be gigantic. It will exceed the scale of the Marshall Plan, but so will the economic boom which it will produce! For more on this subject, including additional drawings, go to www.controlglobal.com/solarenergy.html.